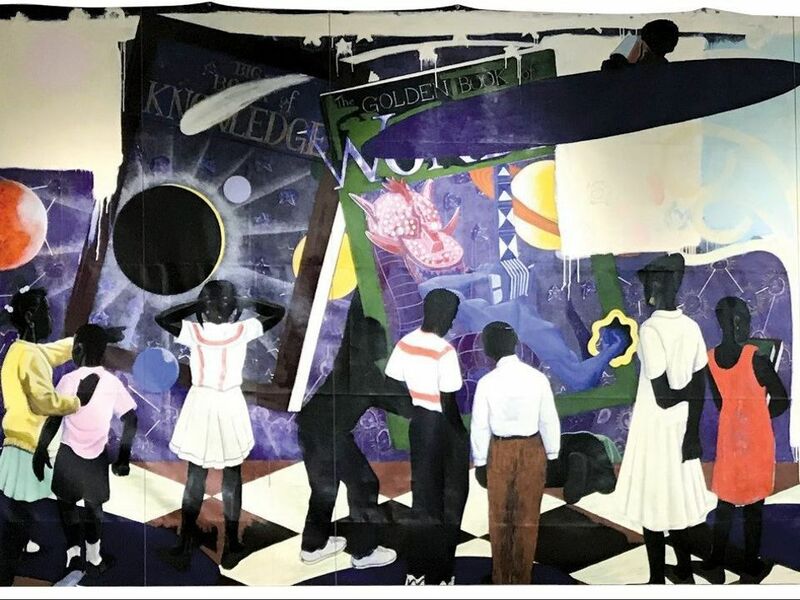 A controversial plan for the city of Chicago to auction Kerry James Marshall’s monumental painting, Knowledge and Wonder (1995), at Christie’s in New York on 15 November has been shelved. The painting had been expected to raise more than $10m for the expansion of the Legler Library, for which it was originally commissioned in 1993. However, the auction had drawn widespread criticism, not least from Marshall himself who told Artnews in October that Chicago had “wrung every bit of value they could from the fruits of my labour”. Last year, Marshall donated another mural to the city for one dollar, while, earlier this year, the state-owned agency that operates the McCormick Place convention centre removed Marshall's Past Times (1997), which famously sold for a record-setting $21.1m at Sotheby’s, New York in May. Christie’s said in a statement that the painting, depicting black children gazing at giant cosmic picture books, was withdrawn by “mutual agreement” with the city of Chicago. The auction house said it was “highly confident in the market’s interest and enthusiasm for this masterpiece”, but stressed Christie’s is also a “strong supporter” of public art. “All parties involved are delighted that Kerry James Marshall’s Knowledge and Wonder will stay in Chicago–that had been a shared goal for the city and Christie’s throughout the sale process, and one we were actively working towards together these last weeks,” Christie’s said. The painting is now due to be reinstalled in its original home at the library, according to Bloomberg news.